Green Tea Chocolate Sugar Cookies - Chocolate Chocolate and More! 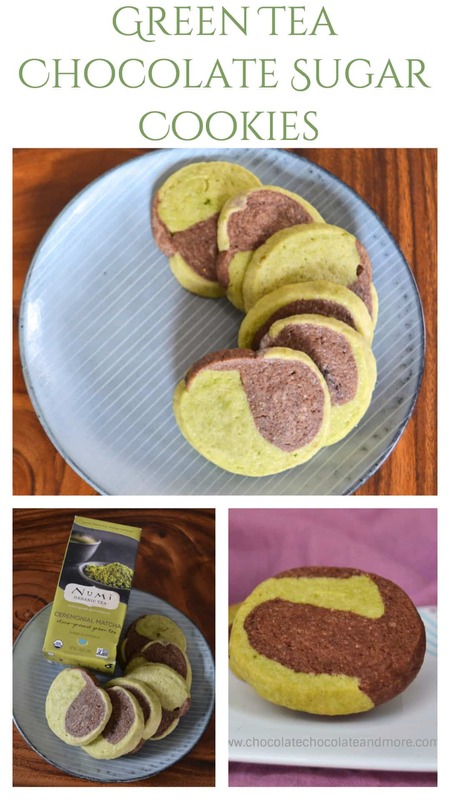 Just a small amount of Numi organic matcha tea gives these Green Tea Chocolate Sugar Cookies natural green color and unique flavor. These cookies go great with afternoon tea or are a fun way to sneak in some antioxidants into your lunch box. A few days ago, I watched Bad Moms. It portrays how we moms try to be perfect even though we’re overstretched. There’s a great scene towards the end where moms shout out their confessions during a packed PTA meeting. I could relate to quite a few of them. Here’s one of my “bad mom confessions.” My daughter refused (and I do mean refused) to eat vegetables when she was a kid. She’d literally starve herself rather than eat anything green. I’m not talking about missing one meal here and I tried all the tricks. Well we all want our kids to have the nutrients in their veggies. So what do you do when you try everything and your kid refuses to eat them? I “hid” them in foods she liked. Did you know one slice of pumpkin pie has a full day’s vitamin A? Or how about chocolate zucchini bread? The only vegetable I didn’t need to disguise was the spinach in CiCi’s spinach alfredo pizza. We always called it “green pizza” and Becky ate it without question. Numi recently sent me some of their teas to work into baked goods. I love that Numi is a fair trade company and their teas are organic. Numi teas are also so flavorful they don’t lose their flavor in baked goods. Green tea is known for its health benefits and matcha tea is the healthiest of the green teas. Why? Because matcha tea is powdered tea leaves that you add to hot water so you get the whole leaf as opposed to just an extract. I love tea but I’m not much of a green tea fan. The green tea sold in the US is bitter because the leaves are old. Here in Asia, high quality green tea is fresh and tastes more like spinach juice than tea. Asians love green tea so much that green tea flavored desserts are the rage here. Green tea desserts either really work or it bomb. I’ve tried green tea ice-cream (not impressed) and green tea KitKat bars (pretty decent). I was shooting for something my daughter would eat. 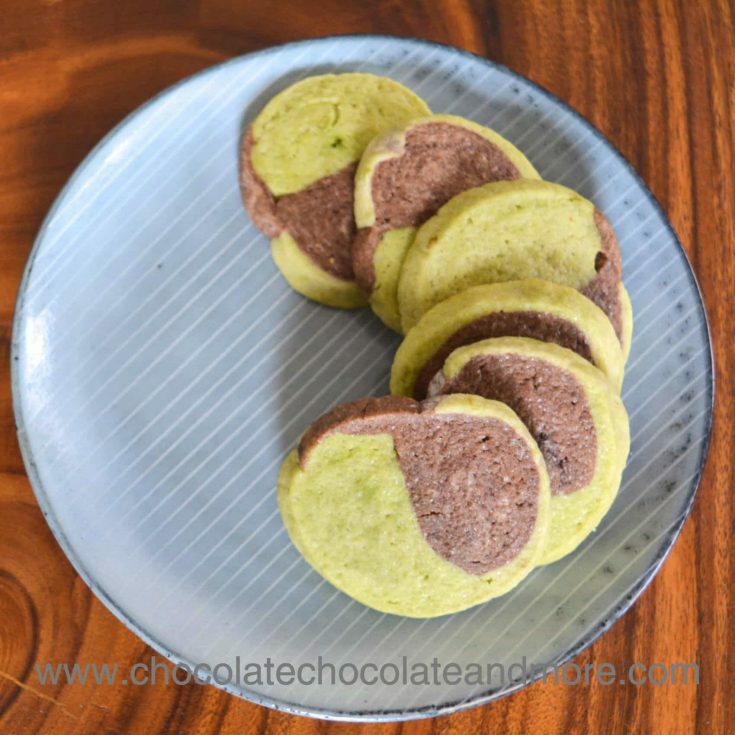 These green tea chocolate sugar cookies fit the bill. You can just taste the green tea but it blends with the other flavors in the cookie in a nice way. One thing to bear in mind when working with matcha tea is that a little goes a looooong way. You only need a teaspoon of the powder to make a cup of tea. 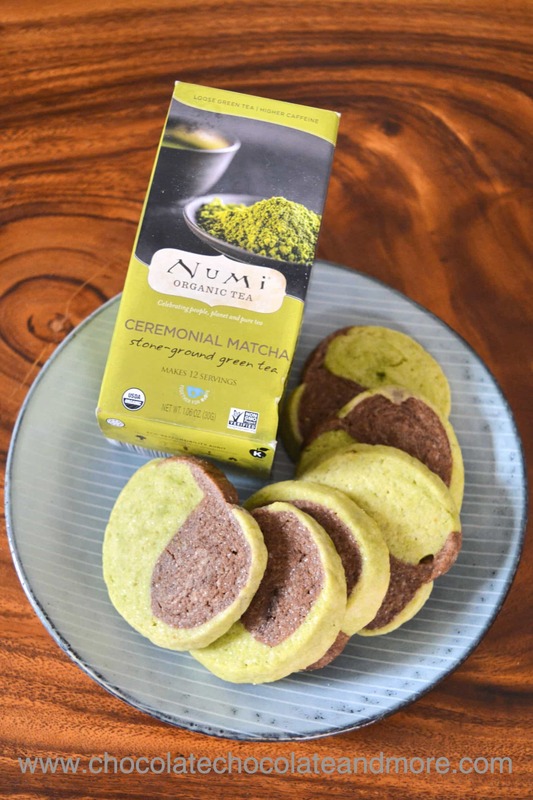 Numi’s Ceremonial Matcha tea is both savory and sweet. The sugar in the dough brings out the sweeter flavor of the tea so it works with the chocolate. Numi’s citrus matcha, with it’s orange/lemon flavoring, works even better. 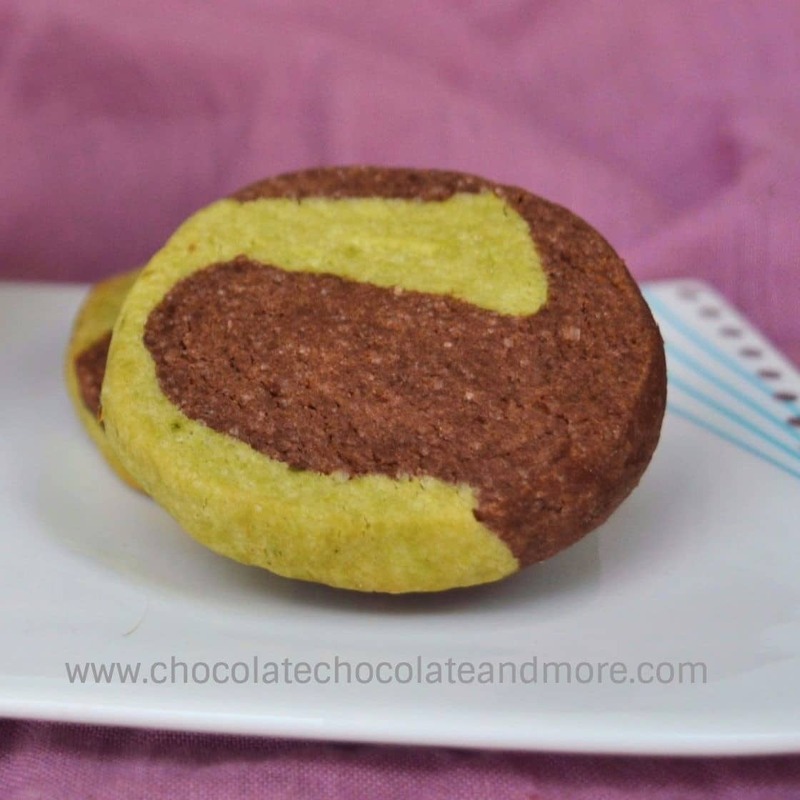 Although Green Tea Chocolate sugar cookies require two doughs, they start with the same base. 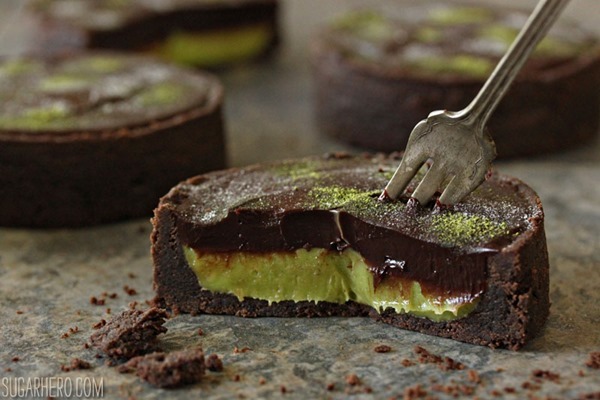 You just divide the dough in half before adding either cocoa powder or matcha tea. I wanted to make Yin Yang cookies but the swirls didn’t quite work out. One batch came out swirled but my next batch looks like I just put two rolls of dough next to each other. I put directions for my attempt at swirling in the recipe. You can get creative. if you make four ropes of dough, you can alternate them in a checkerboard pattern. You can just roll the chocolate dough into a log and the green tea dough into a log. Set them next to each other and press together to get half and half cookies. Now that Becky’s in college, she’s started eating vegetables. Even so, I’m sure she’d approve of these green tea chocolate sugar cookies. Any way you slice them, these cookies are a fun way to add some anti-oxidants to your (or your child’s) diet. Mix in flour, baking powder and salt. You should have a soft dough after mixing. Divide dough in half. Add cocoa powder to one half and mix thoroughly. Add green tea powder to the other half and mix thoroughly. On a lightly floured piece of parchment paper (or waxed paper), form green tea dough into a log that is 12-14 inches long. Use a rolling pin or your hands to make the log into a wedge shape (thick at one side tapering down to about 1/8 inch thick on the other). The wedge should be about 3-4 inches wide. Repeat with the chocolate dough. Lay the thick side of the chocolate wedge on top of the thin side of the green tea wedge. This forms a log of relatively even thickness. Fold the parchment paper around the log and gently press the log into a more round shape. If the log is flat on one side, you can roll it on the counter to make it more round again. Use a sharp knife to cut the dough into 1/2 inch slices. Place the slices on a parchment lined cookie sheet and bake in a preheated 350°F oven for 10-15 minutes (till very lightly browned). There are many ways to combine the two doughs. For a pinwheel pattern, roll each dough to a 12 inch long by 8 inch rectangle and place one on top of the other. Then roll the two together. For a checkerboard pattern: Divide each dough in half and roll each portion into a 12 inch long log. Put one green tea log next to a chocolate log. Then put the second green tea log on top of the chocolate log and the second chocolate log on top of the bottom green tea log. Looking for other green tea recipes? 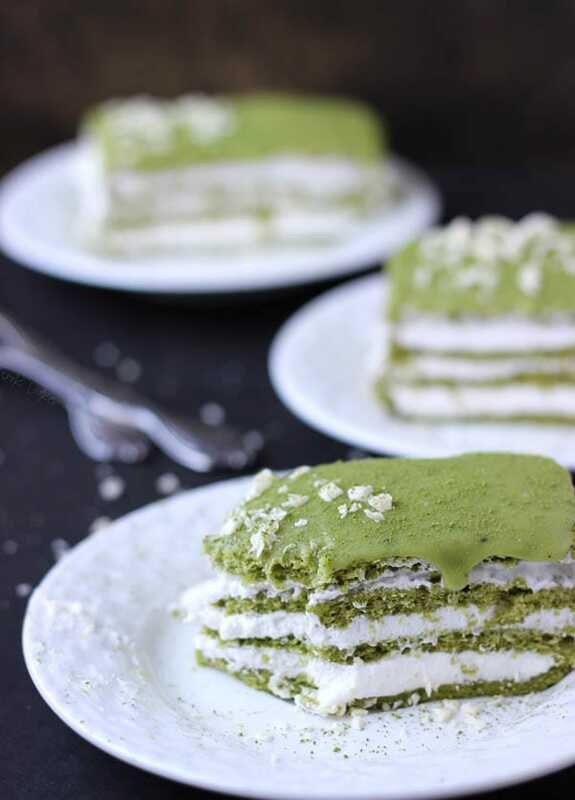 Matcha Genoise Cake from Blahnik Baker and the Cooking Actress.